The defeated Bawku Central MP Madam Hawa Yakubu, known in Ghanaian parlance as the "iron Lady” has girded her lion from possible legal action against her main opponent at the Bawku Central Constituency in the just ended elections. Madam Hawa noted that the decision to take legal action was in the interest of herself, the NPP and the country as a whole, pointing to the that fact as Ghanaians “ we don't want any more coup since democracy cannot be won with a coup d'etat”. To this end Hawa Yakubu Ogede would be holding a Press conference today to reveal what she describes an attempted coup plot against her during the just ended parliamentary election. Madam Hawa who lost her seat said in an interview that on the voting day power was taken away form her and New Patriotic Party (NPP) through the use of force and brandishing if intimidating weapons at polling stations in her constituency. She disclosed that there was an assassination attempt on her life and has therefore decided to institute legal action against her main opponent, Mahama Ayariga who stood on the ticket of the NDC. “It was an assassination attempt---my life was threatened and it wasn't a mere threat, it was followed up with the shooting of a soldier: so clearly they can't use weapons to fight people and expect that there would be proper elections conducted throughout, she lamented. She admitted that she was not the type of politician who would just keep quiet even though initially she decided not to comment on the issue because she wanted peace in the area an did not want her supporters to be speculating about what could happen in the constituency. 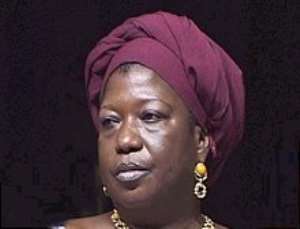 Hawa Demands Enquires Into Assassination Attempt The defeated parliamentary candidate for Bawku Central Hawa Yakubu has called for full-scale investigations into circumstances in which gunshots were fired at her in the heat of the general elections. In an interview with Joy FM Madam Yakubu made known her intentions to take legal action against the NDC and the Independent candidate Alhaji Abubakar Jibreel Ustarz who contested against her. According to her, besides being intimidated, an assassination attempt was made on her life when she went to cast her vote. A soldier who was on duty as her bodyguard was hit in the shoulder by the bullet. Hawa Yakubu lost her seat by polling 10,169 votes as against the NDC's candidate, Mahama Ayariga who polled 18,518 votes. Madam Yakubu said her opponents went round declaring her dead, and demoralized some of her supporters who could not exercise their franchise. She said the complaints she filed with her supporters to the police were not acted on. “Warning shots were fired and the person who fired the shot was identified but when we made a report, arrests were made”, she said. She added that she the driver of the NPP car she was riding in was wounded in the course of the shooting. Most people have attributed her defeat to her low profile nature of campaigning, since that could not reach a larger portion of the people. But she rejected that and said she was just robbed of her seat.